One thing about bridal fashion each year is that you can always expect to get the full choice of usual silhouettes: from the fairytale ball gown with a full skirt fit for a princess, the fitted bodice A-line that flares wider toward the floor and the sheath also fitted but this time falling straight, to the trumpet that flairs mid-thigh or the mermaid that flares out around the knee, and increasingly the short version. 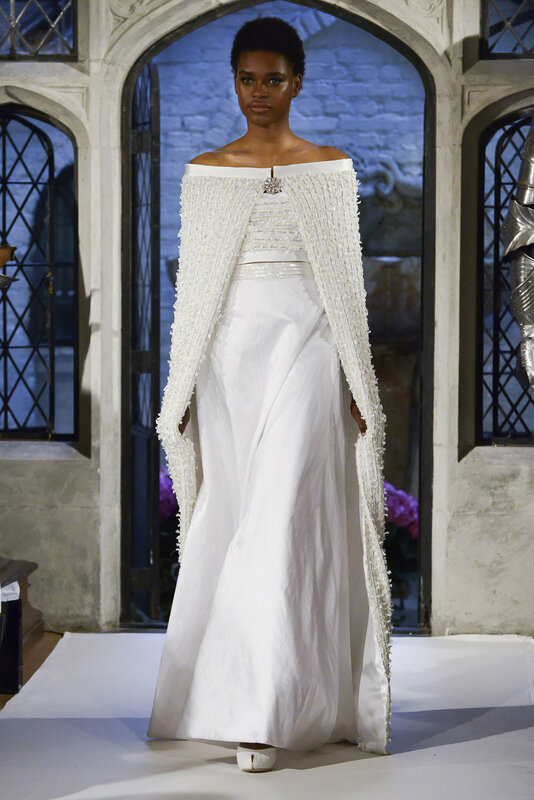 That said, each season also brings something new and Bridal Fashion Week in New York City is a great occasion to decipher those. They are everywhere this season. 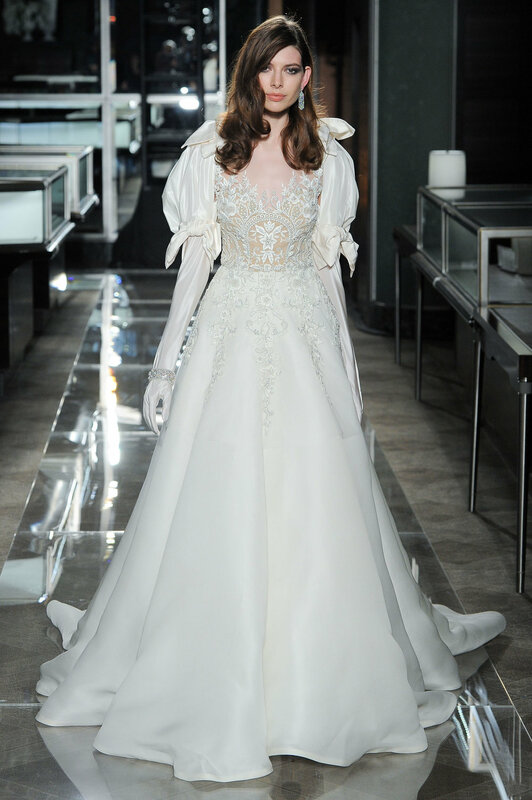 Reem Acra, who celebrated 20 years of bridal design with a collection inspired by Tiffany & Co, created several dresses with black ribbons that elegantly contrasted with the pearls and lace in her creations. Black ribbons were also favored by Marchesa Bridal and Ivy and Aster, while Sacin e Babi opted for an elegant giant pastel pink bow and white on white bows. 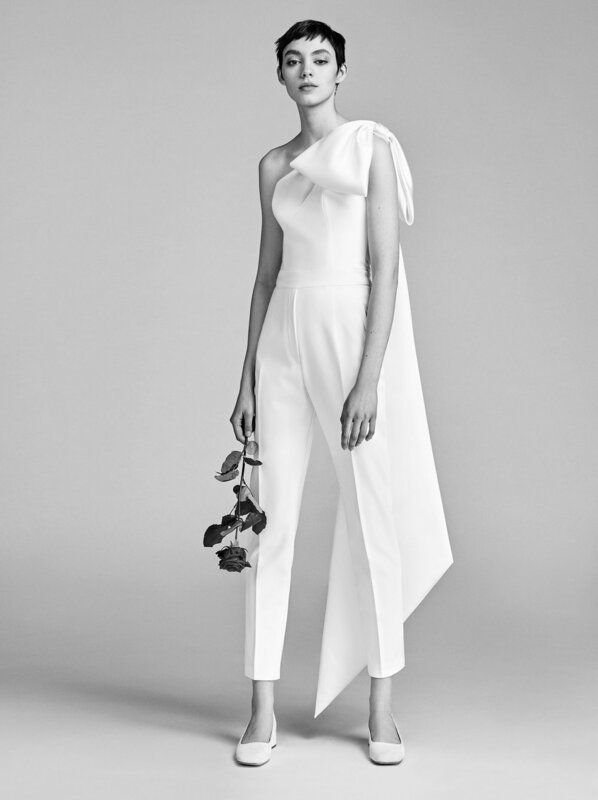 Viktor & Rolf (who didn’t show in New York) has just unveiled a collection that also offers some oversized white on white bows. For a sleek and edgier look.